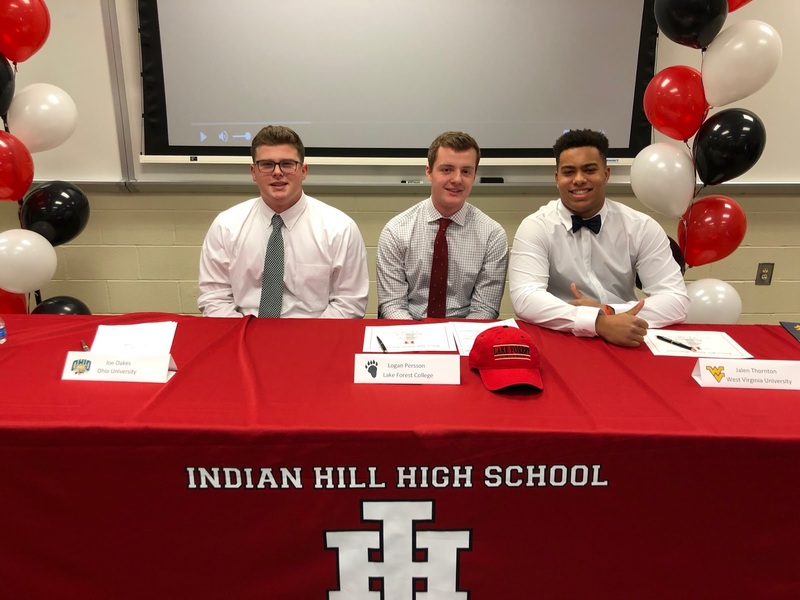 Indian Hill High School (IHHS) congratulates seniors and student-athletes Joe Oakes, Logan Persson, and Jalen Thornton who committed to continue both their academic and athletic careers during a College Football Signing Ceremony on Wednesday, December 19. Indian Hill High School Seniors and Football players Joe Oakes, Logan Persson, and Jalen Thornton committed to continue as both scholars and athletes in college during a signing ceremony December 19, 2018. Joe Oakes is a 3-year varsity letterman for the Braves in football, and served as captain. Oakes earned All-League, All-City, and Honorable Mention All-Ohio. As a Brave, Oakes has made 197 knockdown blocks, 84 tackles, 7.5 sacks, 9 forced fumbles, and 4 recoveries. In addition to his exceptional high school football career, Oakes is a 4-year varsity letterman in baseball earning All-League/All-City his junior year. Logan Persson has achieved many accolades during his time as a Brave. His junior year he earned First Team CHL, Honorable Mention Southwest Ohio, Honorable Mention Division 4 All-Stars, and scholar athlete recognition. His senior year Persson earned Honorable Mention Tri-State Football Preseason Punter, First Team CHL, First Team Southwest Ohio. 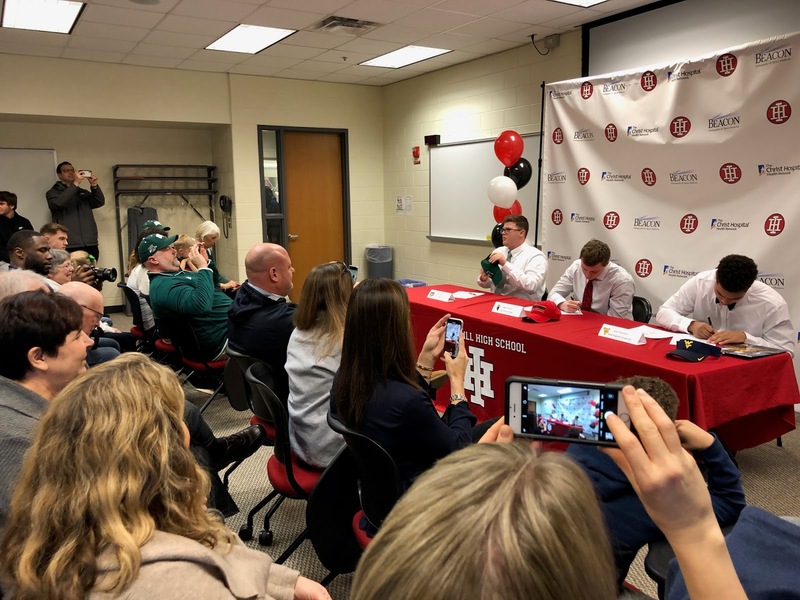 Logan Persson will be playing football at Lake Forest College once again alongside his brother, Erik (Indian Hill High School Class of 2018). Jalen Thornton is a celebrated 4-year letterman for the Braves in football, earning First Team All CHL (three years), First Team All Ohio, Southwest Ohio Defensive Player of the Year, and was ranked seventh in football within the Cincinnati area by the Cincinnati Enquirer.